For banks, the availability of their automated teller machines is becoming more and more important – 85% of their customers now use them regularly. New self-service solutions must not only be implemented quickly and stably but must also be cost-efficient to run. With its ATM management service, Wincor Nixdorf assumes responsibility for the availability and performance of a bank’s entire ATM network. Many banks are currently examining which IT projects they want to continue handling on their own and which they want to outsource. According to Pierre Audoin Consultants (PAC), banks’ budgets for IT services will grow by 5.3% in 2014 year on year, and global expenditure on outsourcing will even be up by 5.6%. 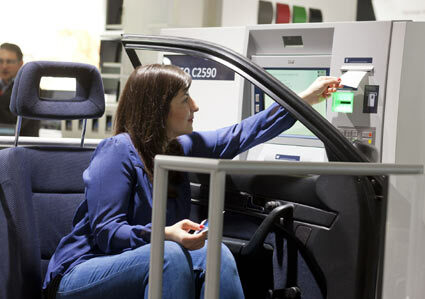 The scope of Wincor Nixdorf’s ATM management service extends from delivery, installation, maintenance and monitoring to operation. Via a remote connection, ATMs can quickly be put back into operation, preventive maintenance activities can be conducted, and software updates can be distributed. The basis for this is Wincor Nixdorf’s eServices Platform. All activities run through an automated process that is completely transparent, displayed in real time and summarized in specific reports. The operations management solution for ATM networks goes one step further and includes complete systems management. Here, Wincor Nixdorf optimizes business processes at branches and also controls cash handling and all cash-based transactions. Compliance with current legal regulations and security requirements is ensured in all process stages. In IT outsourcing projects, Wincor Nixdorf takes responsibility for decentralized IT at branches as well as for central IT functions such as data centers, servers, networks and workstations. The profitability of such complex environments can be increased significantly by bundling volumes, transparent service processes and harmonized governance models. In its ATM management and outsourcing services, Wincor Nixdorf offers banks scalable solutions ranging from greater availability of their ATM networks to efficient operation of the complete IT infrastructure. This enables banks to reduce the cost of their ATM networks and to increase customer satisfaction.